We offer you an unforgettable experience – an opera tour in Bulgaria. The opera voices of Bulgaria are our biggest riches because of their uniqueness. Nowadays the Bulgarian opera singers are leading talents all over the world. 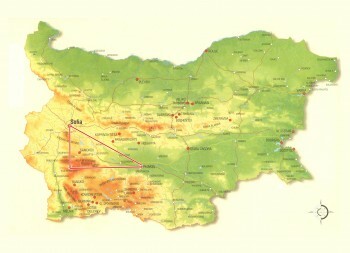 During the this Opera Tour in Bulgaria you are also going to visit many beautiful natural and cultural sights. The town of Kazanlak – from relaxation and exploring the region – the country’s largest and best preserved Thracian tombs, to observation of the rose oil manufacture in the region. One of the oldest towns in the country – Veliko Tarnovo – will be part of our trip. The medieval fortress Tsarevets is the most significant monument of culture in the town, situated on the homonymous peak, surrounded on three sides by the river Yantra. There is also another historical hill near Tsarevets – Trapezitsa. Its historical significance is great and has not been completely discovered yet. In the middle of the fragrant coniferous forests of Rila Mountain, the Rila Monastery is located. The Monastery has unique architecture. From outside, the monastery looks like a fortress. It has 24-meter high stone walls which form irregular pentagon. That’s why when you enter the monastery’s yard from one of the two iron gates you will be surprised by its architecture: arches and colonnades, covered wooden stairs and carved verandas, as well as 300-400 monastic cells. Arbanasi archeological-museum reserve is included on the list of the one hundred most important Bulgarian tourist destinations. Museums of most interest in Arbanasi are the Konstantsaliev house and the Birth of Christ Church. Join this Opera Tour in Bulgaria and combine history and classical music in vibrant Bulgaria. Performances are joined by sichtseeing tours. We have the pleasure to offer you performances in Sofia National Opera , Veliko Tarnovo open air festival “Stage of Ages”, Rousse – “March Music Days”, Varna – “Summer festival”.